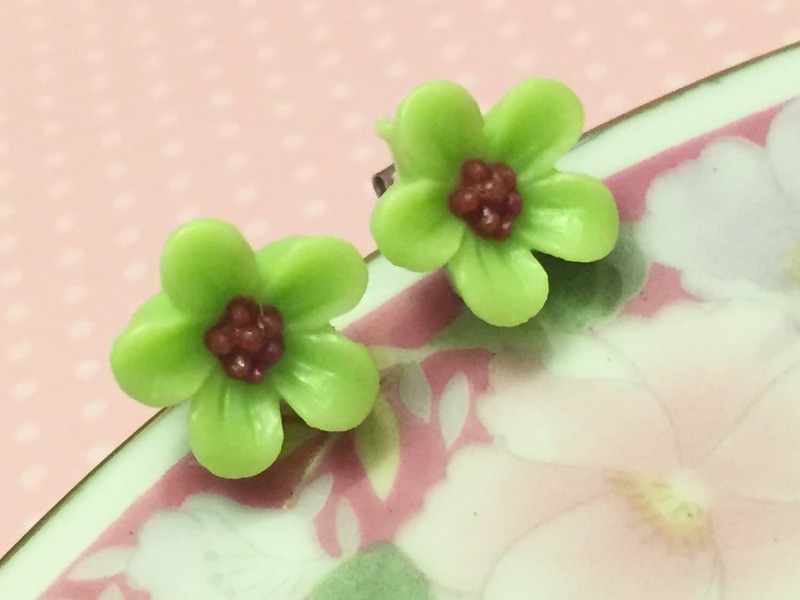 I used pretty lime green daisy cabochons and stainless steel ear studs to make these earrings. 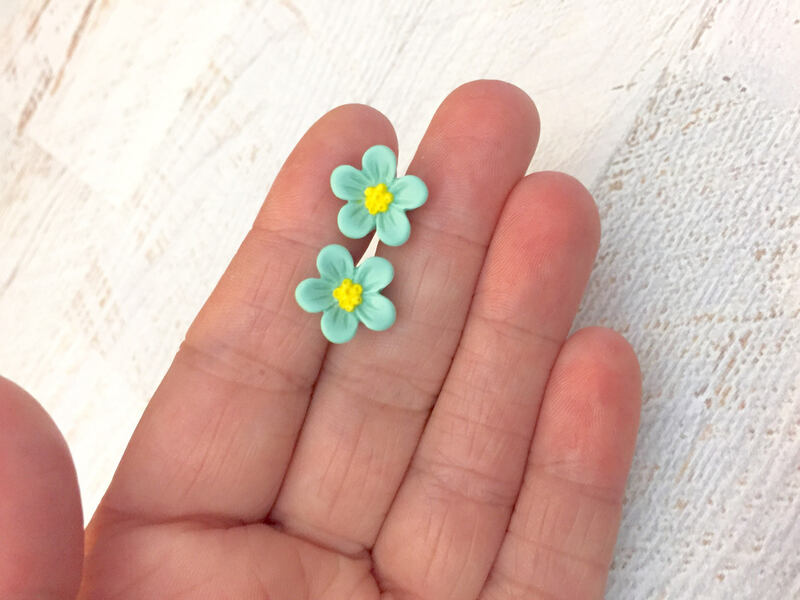 The flower studs measure about 0.5 inches (12 mm). 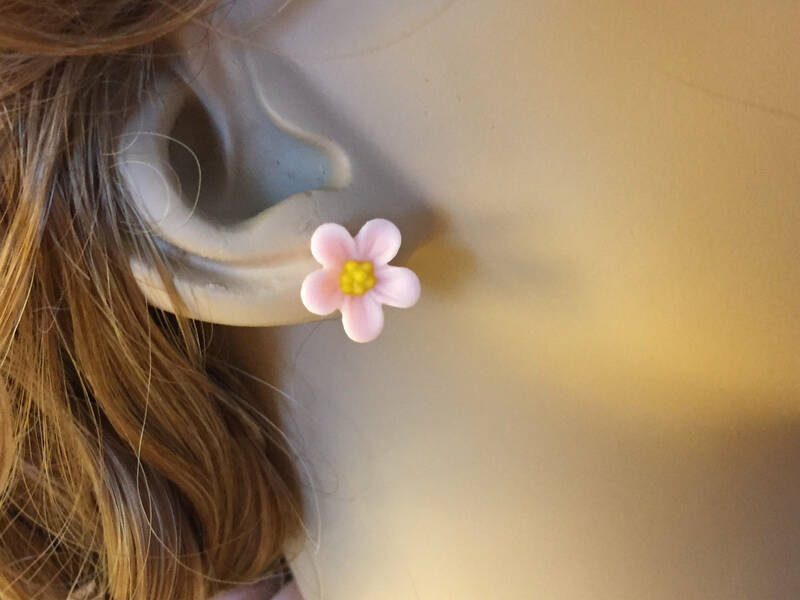 The last two photos are for sizing reference. 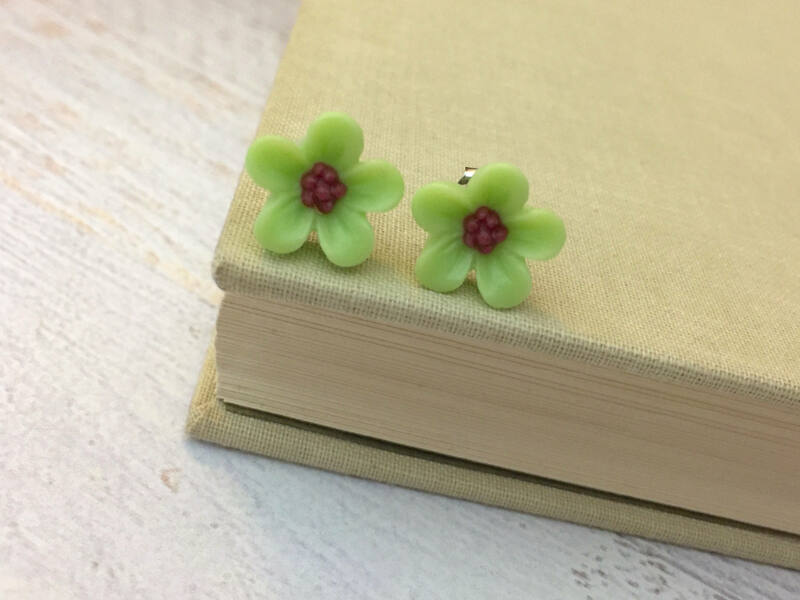 I have these available in a range of colors. 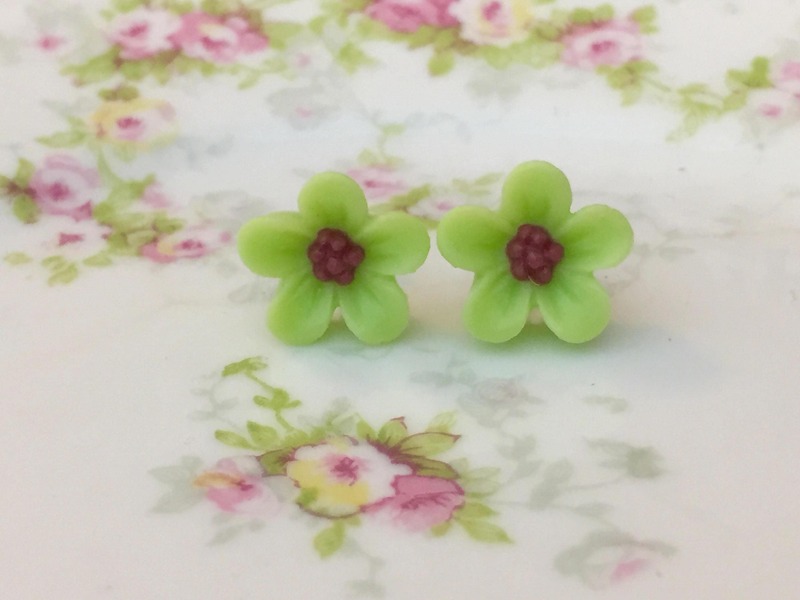 Please see my Flower Stud Earrings section for more options.